Happy Arrival Day, April Fairies! Happy Arrival Day April fairies! My Never Fairies would have had their 3rd Arrival Day April 11th. Why didn't Phoebe get a cupcake? I WANT A CUPCAKE! -makes cupcake- Here! You get extras! ~These two cakes are for all the April fairies! Happy arrival day April fairies!!! I hope you have a FLITTERIFIC 1st, 2nd, 3rd, 4th, 5th, or 6th arrival day! Rain (My Water Talent fairy) is having her first arrival day in June, so is Infinity (My Tinker Talent fairy). Julie is having her second arrival day in July. Thank you for posting the thread Popcorn! I completely forgot about it during study. Since we're no longer earning our badges, maybe a cupcake would make your Arrival Days a smidge better. 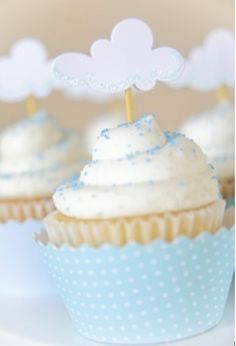 If you think about it, a clumsy cupcake is about as tall as a fairy! I hope your Arrival Day gave you the opportunity to recall all the wonderful moments you have had with your fairy! Aw thank you Onionleaf! Echo loves her cupcake. I hope you all had/will have/are having a splendid day. Last edited by Julie Dazzleshimmer; 04-16-2014 at 04:57 AM. Reason: cake pops! Ooh, three of my fairies became yearlings this month! Iris and Ella thank you for the cupcakes, Onionleaf! Ooh, Twinklesky, my Iris and your Ginger have the same Arrival Day! Yippee! Twinklesky, hope your fairies had a good arrival day! My fairies Rain and Infinity are become yearlings this June! Are those cakepops i see??!!! :O *faints* i love cakepops!!!!! April 17th is Sarah's 6th arrival day.